Cheerios, that’s the bowl of my breakfast that’s what you are thinking about right? 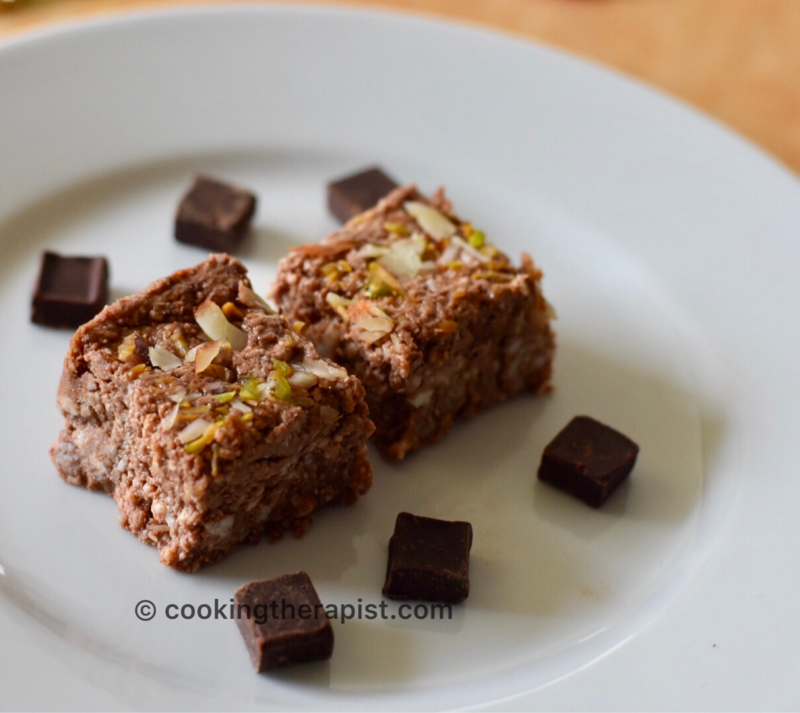 I have made healthy, yummy and quick snacking option out of it.see how? Bhel is a savory and light crunchy snack, and is also a type of chaat famous from streets of Mumbai,India. 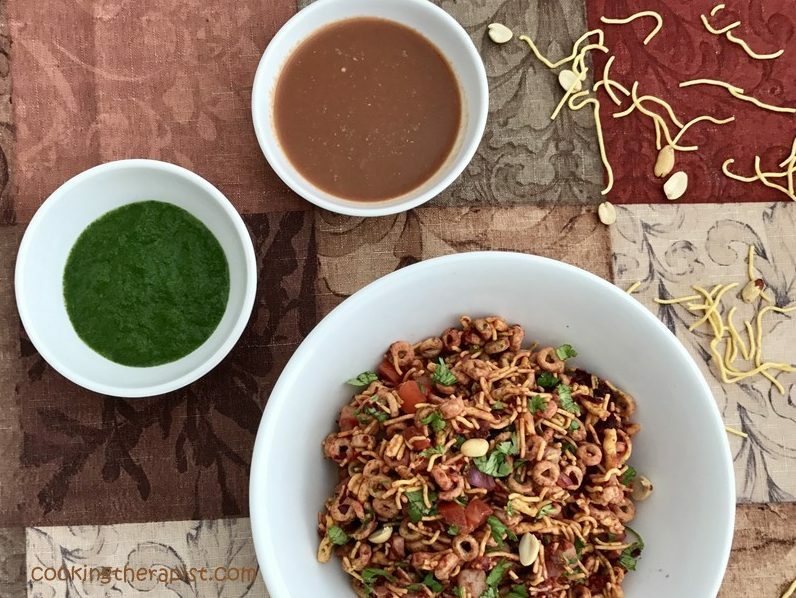 It is made out of puffed rice, vegetables and a tangy tamarind sauce.you can have it dry or with chutneys(sauces). My husband and I were having talk something about Cheerios and got idea that let’s make healthy version of bhel out of it. Bhel is made out of puffed rice and we have converted puffed rice into Cheerios. 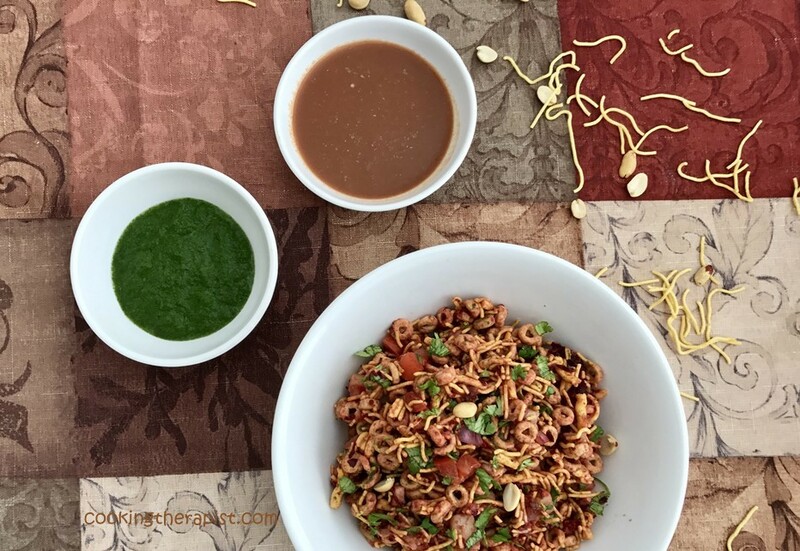 Cheerios Bhel Puri is very easy to make, tummy filler and nutritious because of the oat contain of it. If you want to see the benefits of oats check here. This recipe is perfect for snacking or even for light lunch or dinner. 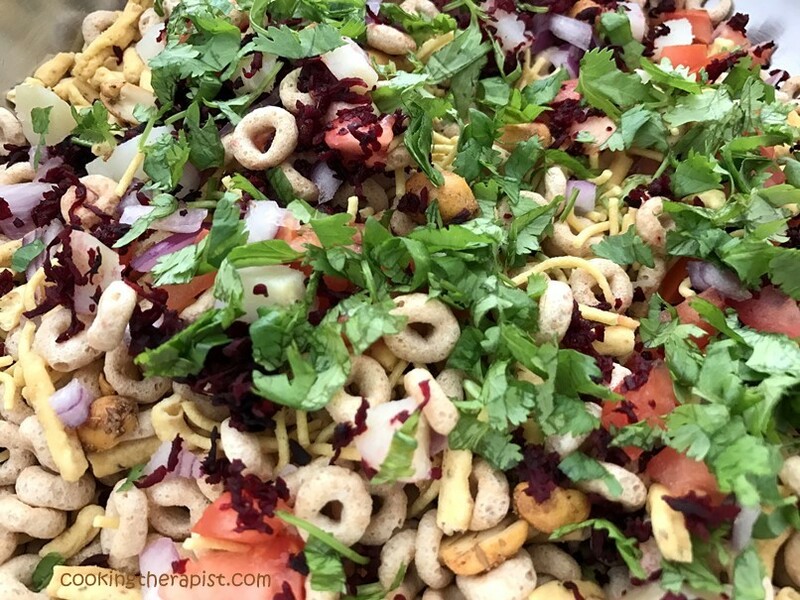 Inspired by popular Indian street food Bhel Puri. 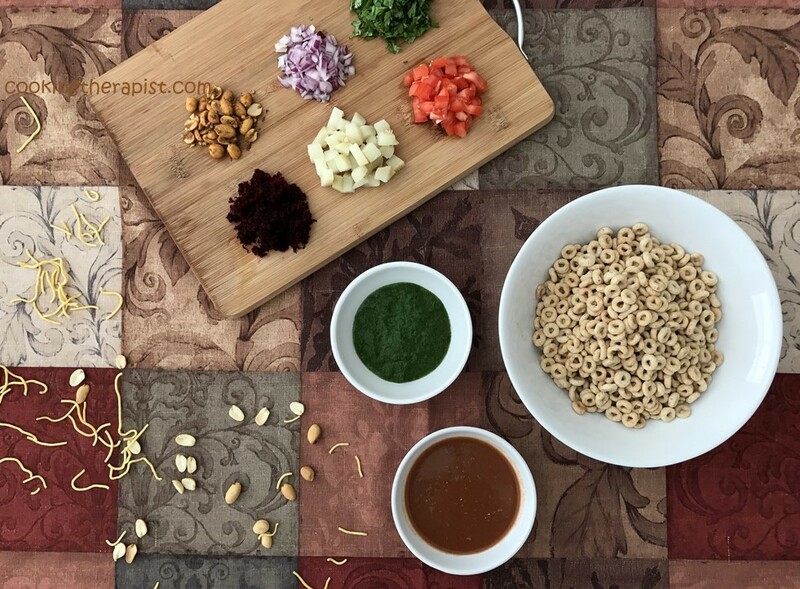 Crispy cheerios with some chopped vegetable and crunchy peanuts, sev and spicy- tangy sauces. Mix all the ingredients except chutneys. Add chutneys according to your taste and serve it immediately. -Add ingredients according to your taste and availability. -Avoid nuts if you are allergic to any. should not carry all the stuff separately like cheerios, sev, peanuts. -Serve it immediately after adding chutneys (sauces). You can make cheerios nachos too by just adding guacamole into it. I am not endorsing any brand here. Let me know what do you think about this recipe? If you want to check this page in different language click on the top right corner where you see flag sign. Compare nutrition facts of puffed rice (mamra) and cheerios.